This 28' Landing Craft has all the bells and whistles, and whistles along at 40 knots with its twin 250 Yamahas. Boat specs: Galley with stove, oven, hot- and cold-water sink, Isotherm refrigerator, Wallas diesel furnace, large carpeted sleeping/storage berth and Zolatone painted interior. Port side marine head with outside entrance for privacy, complete with shower. 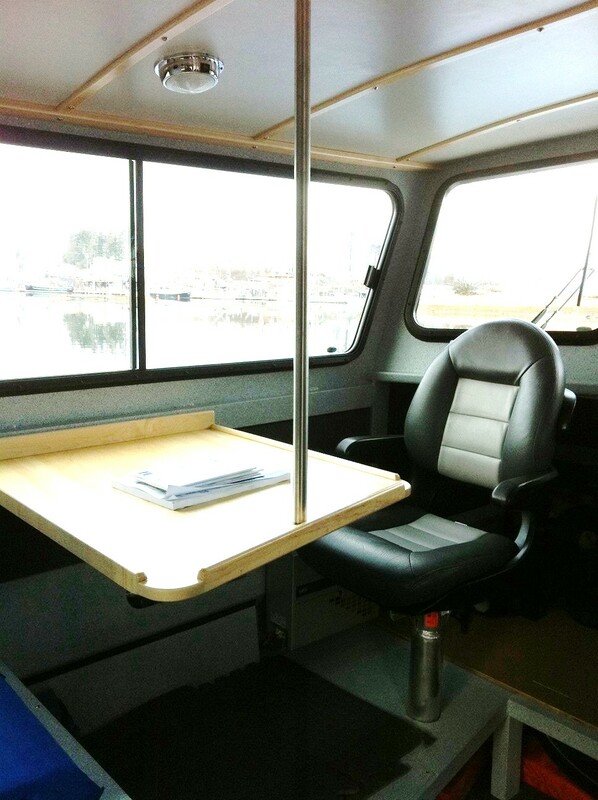 Insulated, lots of storage spaces, davit for crab pots or gear, dual steering, electric winch for bow door, fishing pole/rocket launchers on top of cabin, Lynco trim tabs, tow post, shore power, Furuno Navnet radar, GPS, fish finder, Blue Sea panel and hardware, wash-down pump forward and aft, twin aft transom doors, side door in hull, 200-gallon fuel capacity.